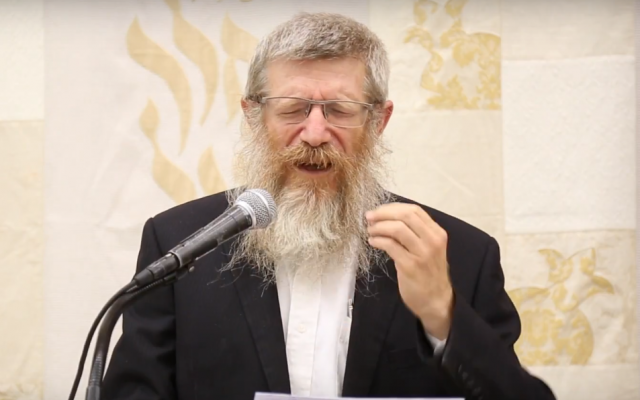 Minister of Agriculture (Bayit Yehudi) Uri Ariel has spoken out against the decision to remove Rabbi Tzvi Kustiner from serving in the IDF Chief Rabbinate reserves, where he has been serving voluntarily for some 25 years. Rav Kustiner is the Rosh Yeshivat Hesder Mitzpei Ramon, and the decision was made to oust him from the reserves because has recently spoken out against women serving as combatants in the IDF. Rav Kustiner gives six weeks of his time annually to serve in the IDF, but he has nevertheless joined the persona non-grata list of other rabbonim including Rishon L’Tzion HaGaon HaRav Yitzchak Yosef, Rabbi Shmuel Eliyahu, Rabbi Shlomo HaKohen Aviner and others, all for daring to speak out in a voice of halacha, which unfortunately no longer coincides with military policy. Since the appointment of IDF Chief of Staff Lt.-General Gadi Eizenkott, religious services in the IDF have been under attack. Interestingly, Eizenkott has recently announced he is “Not a chauvinist or a feminist” but in his case, his actions speak far louder than his words. Rabbonim affiliated with the Ne’emanei Torah V’Avodah organization released the following statement: “We appreciate Rabbi Kustiner for his dedication to the IDF for many years. We do not know what the army’s considerations were, but we believe that the image of the rabbi of the IDF’s Rabbinate course, which is supposed to be refreshed every few years, should be one that respects different halakhic concepts. Where do the “values ​​of the IDF” come from? Who is the “posek” for their values, and what Israeli law gives the IDF the right to promote any values at all? They have a mission: to protect the country. That’s it. Nothing more.